Here's another release in teh Surface series. 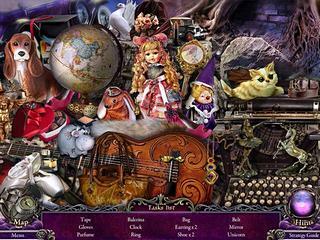 Those who played the previous games are anticipating a highly polished and catchy hidden object puzzle adventure game. And they are right. Surface: The Noise She Couldn't Make tells you another great mysterious story where your psychic abilities are the last hope. Your abilities will be challenged with the problem of comunication with the girl. You are ivited to investigate a case of a girl that was found on a highway. She was unconscious and there was a bloody knife next to her. All the attempts to figure out what had happened were not a success. But your extraordinary abilitied might be what will help solve this case. The only problem is that you'll have some problems comunicating with her... 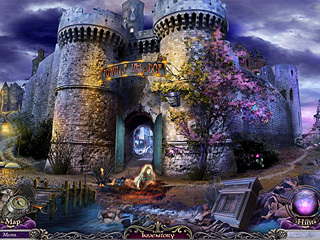 But additional challenge is what makes the games of this genre more interesting and catchy. onderful as that of this game series. The graphics are beautiful and detailed and realistic. The sounds and music created the atmosphere that matches the story. The game is well developed to the smallest detail. There is always lots to do for you wherever you go. The items that you find you can use right away, so there is not lots of going back and forth. Both the hiddne object levels and mini games are very entertaining and interesting. The game keeps you attached. I've been playing a lot of the Minecraft Alpha laelty too. I agree, it really captures the Lego vibe of building whatever you want relatively easily. It also combines it with a cool survival mechanic of making sure monsters don't get you. Also, the exploration aspect is very cool. Whether you are above or below ground, you can see some impressive results of the procedural generation. It's pretty insane how much money Notch is pulling in from this, especially since it's only an alpha. This is Surface: The Noise She Couldn't Make review. Download this game here.